Guy Jean is a member of the first generation of French-Canadian poets to re-discover the cultural heritage of Acadia, which Jean describes as, “a folklore truculent with daily life, local lore linked to universal legends and songs handed down from generation to generation rich in 17th century tavern songs and music going back to the troubadours.” This culture was devastated by the violent British takeover of the region. In Jean’s work the influence of this culture and history combined with the more familiar French poetics of Rimbaud and Michaux results in a work of haunting lyricism. The poems are both playful and mythic, while still seriously engaging in questions of inherited violence. 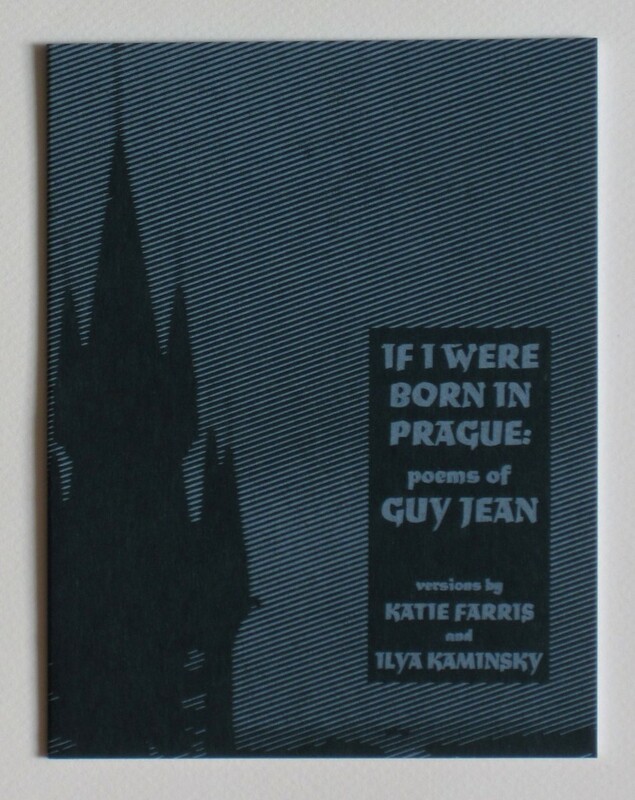 In If I were born in Prague Jean’s work is beautifully re-imagined in versions by Katie Farris and Ilya Kaminsky allowing English readers an entry point into the vital work being done by one of our neighbors. Guy Jean resides in Gatineau, Quebec, where he is much involved in the development and promotion of literature. He collaborates in creative and translation projects with artists and poets in Quebec, USA and Europe. He has just recently published his seventh book of poems. Katie Farris’s poetry, fictions, and translations have appeared in various journals, including Verse, Spillway, Indiana Review, Washington Square, Hayden’s Ferry Review, New Orleans Review, and others. She holds an MFA from Brown University and currently teaches Comparative Literature and Creative Writing at San Diego State University. Ilya Kaminsky is the author of Dancing In Odessa, which was published by Tupelo Press in 2004, and editor of Ecco Anthology of International Poetry from Harper Collins. He is also the translator of Polina Barskova’s This Lamentable City. He lives and teaches in San Diego. Posted by Elizabeth Clark Wessel, July 6th, 2011.